Category: Ronda. Tags: malaga, ronda, serrania de ronda. At home in the City of Dreams. 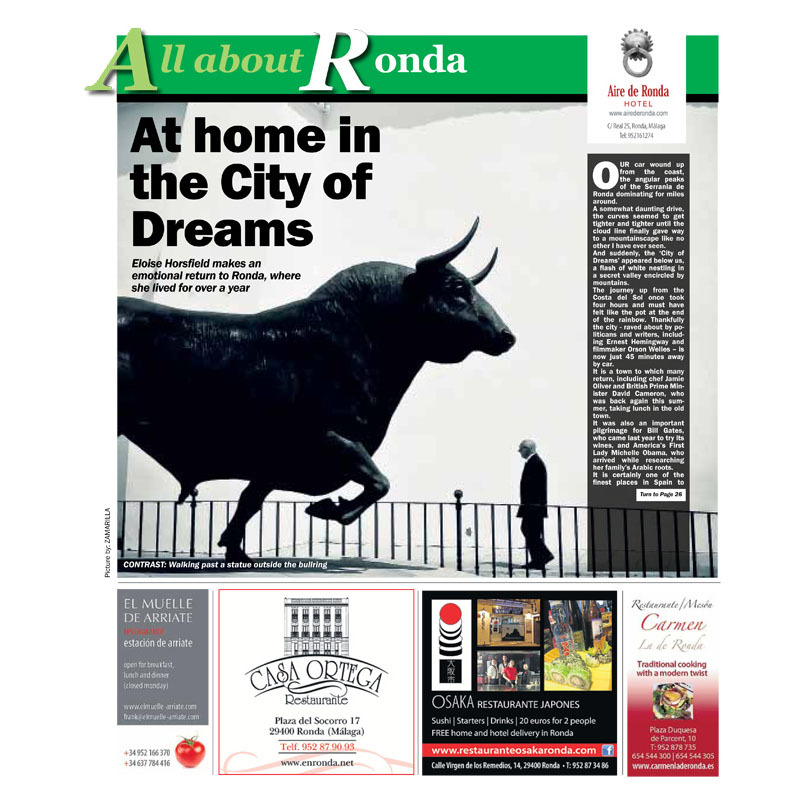 Eloise Horsfield makes an emotional return to Ronda, where she lived for over a year. Follow in Michelle Obama’s Footsteps. A Wine Time: Visit Ronda’s Vineyards. Walking Guru Guy Hunter-Watts Describes A Favourite Walk Close To His Home And Heart Near Ronda. 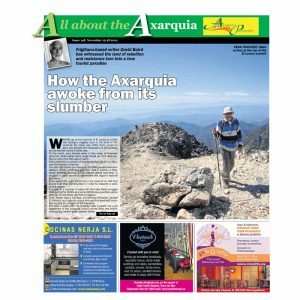 Algaba: Discover What Andalucia Was Like 5,000 Years Ago. Take A Ride Around The Genal Valley. Serrania de Ronda Area Counts On 12 Of The Best Restaurants in Andalucia. Ronda Property: Bag A Bargain.